1. Why do emails sent to me not arrive? Dear users of AOL.com, comcast, net, att.net and COX.net e-mails! For more help you may contact AOL/COX Customer support. 2. What is an E-Check? 3. What are my Payment options? 4. What are shipping times? Regular shipping is 14 to 28 working days from shipment date, excluding weekends and holidays. When there is a delay with USPS, this is extended to 35 working days from shipment date. 5. What are the shipping costs? Insured economy airmail is $8.99 per carton. Insured shipping ensures you receive compensation should packages be damaged or lost in transit. 6. Is it safe to send you my E-Check details? 7. Can I pay by postal order? No. You can only pay by e-check. 8. Can I place an order by phone? 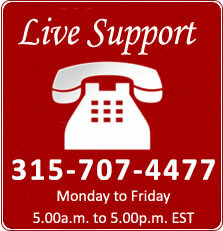 Yes, to place an order by phone, please call us on: 1-315-707-4477. 9. Are the cigarettes sold at Paylessmoke first choice? All cigarettes sold at Paylessmoke.com are first choice cigarettes, that are manufactured under the strictest regulations, by all of the original manufacturers, within the EU or USA. 10. What is your delivery process after placing an order? 11. What if I have ordered and still have not received the goods? Please allow up to a maximum of 35 business days for them to arrive. If they have not arrived in this time, please contact us either via e-mail or call us on 1 646 257 2083, and we will arrange for compensation on your order, depending on whether or not you insured your delivery. Please note that these times are from date of shipment. 12. What if I ordered six cartons and received only three? We dispatch the cartons through Priority Air Mail. In case of multiple cartons we pack them as separate shipments. Generally, cartons are sent individually. We mail the cartons at the same time but their arrival dates may vary. It may take from two to three days for the full delivery to be executed. 13. Do you send the ordered pack by courier services (e.g. DHL)? No. We are working with the Regular Air Mail only, and our service is fast and reliable. 14. Do you sell cigarette brands other than those on your website? No, the cigarettes listed on our pages are the only cigarettes we currently sell. However we do sometimes receive new cigarettes to sell, so therefore it is best for you to continually check the website for the brands that you are looking for, if we do not currently have, we may have it sometime in the future. 15. Can I resell cigarettes offered by you? The answer is a definite NO. All cigarettes we sell are for personal use only, any other uses for our cigarettes would make them liable for duty taxes under the regulations laid out by CBP. 16. 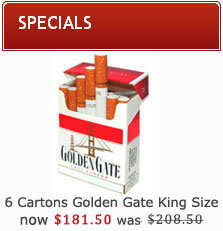 Why are the prices of your cigarettes so competitive? We purchase cigarettes in bulk, enabling us to negotiate lower prices with our suppliers, these savings we make are directly passed on to you, with our great prices we offer on all of our cigarettes. 18. Can I buy cigarettes by international mail? 19. Can cigarettes by mail be sold without import stamps? As long as cigarettes are sold from a BONDED WAREHOUSE, they may be sold without import stamps, and may also carry the wording Duty Free Sale Only on the packaging of the cigarettes. 20. What is a "bonded warehouse"? Bonded warehouses are warehouses that are authorized by customs authorities within a country, where stock that is stored, is exempt from paying duty taxes until the items are removed. In the Case of Paylessmoke.com, when the products are removed from the warehouse they are shipped out of the country of origin, and therefore are exempt of tax from the country of origin. 21. Can BONDED WAREHOUSE consider a form of DUTY-FREE sales? Although products that are stored in a Bonded warehouse are exempt from duty taxes, the Term Duty-Free is used describe goods bought at ports and airports that do not attract the usual government taxes and customs duties, however any product bought Duty-Free May be subject to taxes, according to CBP discretion. The threshold of taxable duty-free products varies around the world, however it is generally between a value of $25 to $50. 22. Do BONDED WAREHOUSE products have more competitive prices? Yes, due to the fact that non of the products in the warehouse are subject to duty taxes, the prices are unquestionably more competitive. Taking advantage of these prices is a little more complicated, however here at Paylessmoke.com, we ship every carton individually, therefore making any packages that a customer receives from us is exempt from duty tax. 23. Are imported cigarettes always subject to duty taxes? No. Duty tax is not charged for buying and importing up to 200 cigarettes at a time. 24. Are imported cigarettes subjected to duty taxes in the USA? No, duty taxes are not applied in the USA for 200 cigarettes parcels.